Only $2.99! FREE for Kindle Unlimited readers! The bombs have fallen. Dust flies across the wastelands of Earth. Whoever survived the sudden fallout faces a world where everything is out to kill them. Despite a world that thrives on cruelty, there are some who wish to fight the chaos that has ravaged the world. Clyde Class is a man who evaded the insanity for years, until he meets a man named Martin Luther, who gives him an unimaginable offer to cross the United States to find hope beyond the wastelands. As they drive to the west coast, they find themselves in the midst of shootouts, cults, and all the craziness between. But when they attempt to make a stop in a big city on the way to the west, they get caught in the crossfire in the heat of a civil war brewing between the maniacal Jacques Filloux and the headstrong Resistance. Can Clyde and Martin make it through this insanity, or will the rising inferno of dementia consume them? 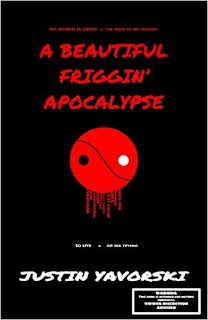 A Beautiful Friggin' Apocalypse isn't just another story about the end of the world. This is a story that reveals how volatile humanity could be when forced to its brink, and the results the destruction could leave behind. 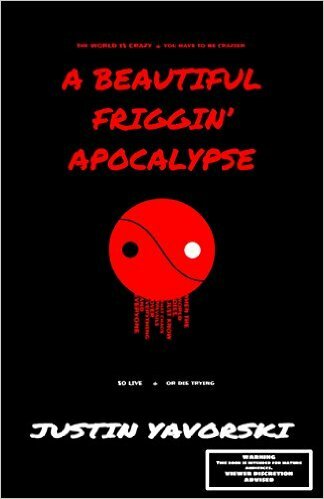 This 400 page post-apocalyptic epic has magnificent action, as well as tender moments that show the humanity these characters have. But better than all this, it's only $2.99! This book is intended for mature audiences. If you are bothered by blood and gore, adult language, mild sexual innuendo and use of drugs and alcohol, you should stay away from this story.